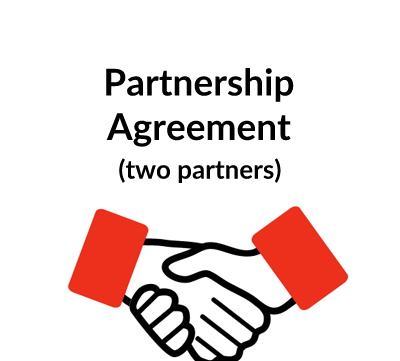 Who can use this Joint Venture Agreement Template? it is intended primarily for use by limited companies that plan to work together through an unincorporated joint venture agreement. 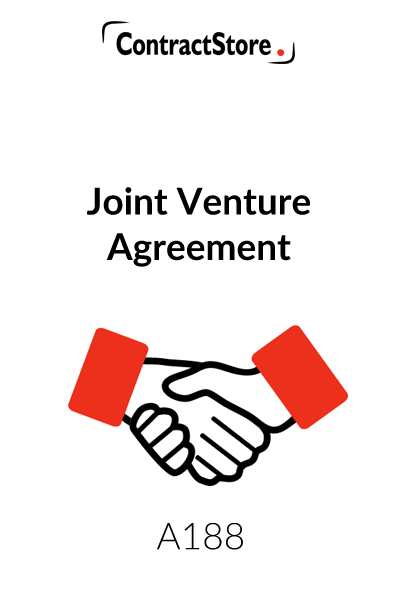 What is this Joint Venture Agreement Template for? A joint venture agreement is similar to a partnership: two organisations join forces to work together on a project or series of projects. Our agreement is a template for a range of different joint ventures, and it is well-suited for the construction/engineering industry. 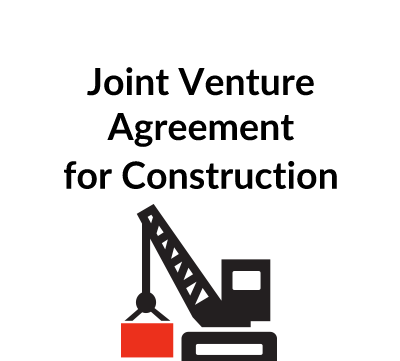 The joint venture agreement (JVA) sets out the basis on which the parties will cooperate, their relevant duties and scope of work, decision-making processes and financial arrangements. Formation and scope. The parties will cooperate to find projects/contracts where they can work together. Management. There will be a management board with one or two representatives from each party who will evaluate projects, decide on tenders and contracts as well as meeting regularly to review progress and deal with issues. There will usually be equal voting rights for all participants at management meetings and the chairman may or may not have a casting vote. Duration. The JV could continue for a number of projects or it might be abandoned on completion of one or if no project is found within an agreed period. Tenders and contracts. There will be a procedure for bringing tenders to the board and for contract awards and then the running of those contracts. The parties will probably be required to commit certain resources to a contract and there may be a project director appointed to manage each project. Financial. The need for working capital and the way in which payments from clients will be handled and distributed will be laid down. Regular management accounts will be prepared. Problems. If a party defaults either in its observance of the JVA or on a contract with a client, there is a mechanism for dealing with this. a general clause detailing the scope of the agreement, amendment, warranties, severance, waiver, assignment, partnership, third party rights and the Competition Act of 1998. ContractStore supplies templates and is not a law firm. But all our templates are written by experienced lawyers so we can arrange legal assistance for customers who need special terms in one of our documents or a bespoke template. This agreement was written by a construction solicitor familiar with a wide range of joint ventures in the UK and overseas. For more information see our Legal Services page. This Agreement is designed for use by two limited companies that plan to co-operate with each other in bidding for contracts on a number of projects by way of a Joint Venture. A Joint Venture is an entity created by two or more parties to undertake a shared economic activity contributing working capital, plant/other resources, and sharing revenue/expenses/risks in agreed proportions. A Joint Venture can take the form of a limited company, a partnership or a Limited Liability Partnership, or, as here, an Unincorporated Association. An Unincorporated Association is simply an association of 2 or more individuals (or, as here, limited companies) who voluntarily agree to co-operate to achieve a shared purpose (here, the winning of tenders and the subsequent performance of resulting contracts). Unincorporated Association have the advantages of simplicity of formation (they are not registered at Companies House, for example) and dissolution, are under no obligation to consider the payment of dividends and have a relatively straightforward tax treatment in the UK. Nonetheless a prospective party to a suggested Unincorporated Association should always take tax advice to ensure that this format is suitable to the specific circumstances of that party. All text in italic script/bounded by square brackets must be adapted to the circumstances of the parties. This simply sets out the definitions of a number of terms used throughout the Agreement. Consideration needs to be given to the identity of the auditors and the interest rate used to calculate interest to be paid by a Party in the event that the other Party is obliged to make up any shortfall in Working Capital (clause 11.3). This clause sets out in broad terms the parameters within which the Parties are to co-operate, the purpose of the Management Board (more specifically detailed in clause 5), the name and principal office of the Joint Venture and states that the Financial Interests of each Party in a specific Contract are to be agreed by the Parties beforehand. Note at clause 2.6 that either Party shall be free to pursue a Tender on its own account and outside the operation of the Joint Venture if the Management Board decide not to pursue a Tender after an agreed period of time. The start date for the Agreement is to be inserted at clause 3.1. The Agreement is to continue until termination, or if after an agreed period of time no Contracts are rewarded to the Joint Venture. Note that the Agreement remains in effect until all outstanding Contracts have been completed. to be responsible for liabilities relating to injury/death of their own employees and damage to their plant/property (clause 4.6). The Parties are to be jointly and severally liable to Clients in relation to claims arising from the execution of Contracts. The effect of this is that any Client may, at its own election, take steps to recover damages for breach of contract from either or both parties irrespective of their Financial Interest in a particular Contract (clause 4.3) (see also clauses 7.7 and 8.2). Each Party agrees to indemnify the other against all direct damages and expenses arising from any breach of the Agreement/any Contract or negligence (clause 4.4). An indemnity does not, of itself, extend legal liability but it does clarify/make express the extent of such liability. Note that the indemnity here (and those at clauses 4.6,and 19.3 (breach of Intellectual Property Rights) and the provisions of clause 13.4 (deduction by a Continuing Party of losses attributable to an excluded/Defaulting Party) is expressly limited to direct losses). This sets out the membership (4 Representatives: 2 from each Party) and purpose of the Management Board (essentially to approve/submit tenders, enter into Contracts on behalf of the Joint Venture, agree budgets/business plans and the Financial Interests of the Parties in respect of each Contract), the power to appoint alternates, the appointment of a Chairman, the frequency and conduct of meetings. If the parties want to set out in some detail the limits of the authority of the Management Board, this could be done in a Schedule to the Agreement. Note that Representatives are to have authority to bind their own company (and therefore should be either directors or senior managers specifically empowered by a Party’s board) but do not have authority to bind the other Party. Note that where unanimity is not possible at a meeting of the Management Board the parties agree to follow the dispute resolution mechanism set out at clause 23. This clause allows for the appointment of a Project Director to be based at the Joint Venture’s principal office and subject to the authority of the Management Board. The Project Director is envisaged as the primary point of contact between the Joint Venture and a Client and would normally conduct negotiations on behalf of the Joint Venture with a prospective Client (see clause 7.8). It may be prudent to record any express limits on the Project Director’s authority and provision is made for the scope of his authority to be spelt out in a Schedule. This clause sets out in straightforward terms the procedures for tendering for a Project. The Parties agree to share information and resources with each other (details may be set out in a Schedule). Negotiations are to be handled by the Project Director. Each Tender would, normally, be signed by authorised representatives of each Party and variations to an agreed Tender may only be made with the agreement of the Management Board. Note that at clause 7.7 the Parties agree that each of them is to be jointly and severally liable to a Client in respect of a Tender (see the note under clause 4.3) and that the Agreement may not be terminated whilst a Tender is “live”. The Management Board is to approve all Contracts prior to execution by authorised representatives of the Parties. Parts of a Contract may be specifically assigned to a Party or to one Party exclusively (clause 8.4). Where a Party has exclusive control of a Contract that Party and not the Joint Venture will be liable for any costs overruns unless this occurred because of the fault of the other Party or are due to circumstances outside the control of that Party (see clause 20 Force Majeure). Note however that as between the Parties and a Client both parties are jointly and severally liable to the Client (see the notes at clause 4.3). It is envisaged that the Project Director shall be responsible for invoicing Clients (clause 8.5). Where a Client does not pay the full amount invoiced, the shortfall shall be allocated by the Management Board between the Parties either equally or pro-rated in accordance with their respective Financial Interests in that Contract (clause 8.8). Profits shown in the audited accounts of the Joint Venture shall be distributed to the parties subject to the approval of the Management Board. Funds in the Joint Venture’s bank account, which, in the view of the Management Board, are surplus to requirements, may be paid out by way of an interim distribution. Note that there is provision at clause 9.3 for the Parties to provide a bank guarantee to the Joint Venture to protect the Joint Venture in the event that an interim distribution leaves the Joint Venture with insufficient funds. Bank accounts are to be opened in the name of the Joint Venture subject to the agreement of the Management Board which shall determine instructions for the operation of such accounts and arrangements for signing. all payments made to the Joint Venture are to be paid into the bank accounts. Note at clause 10.6 that the Parties agree to reach agreement with the Joint Venture’s bankers that it will not exercise any right of “set-off”. The purpose of this is to try and ensure that the bank cannot take monies in the Joint Venture accounts to set-off any liabilities owing by one of the Parties to the Bank. The parties are to contribute Working Capital in proportion to their Financial Interests in each Project as decided by the Management Board. An initial payment of Working Capital (as “seed capital”) may be paid at the outset in which case this should be shown in a Schedule to the Agreement. If a tranche of Working Capital is not paid within 28 days of request the Party not in default may make up the whole (but not part) of the difference and charge the Party in default interest at the Interest Rate. Alternatively the Management Board may decide to borrow to make up the shortfall and recoup the interest charged from the defaulting Party. Alternatively the Party not in default may elect to exclude the defaulting Party from both the Management Board (if the default lasts for 10 or more days) and the Joint Venture (either in respect of a particular Contract or completely) (if the default lasts for more than 60 days) accordance with the procedures set out at clause 13. A straightforward clause setting out in broad terms the obligations on the Joint Venture to prepare audited annual accounts and monthly management accounts. The annual accounts are to be signed on behalf of both Parties and unless objections are raised within 4 weeks after receipt are to be treated as final. Clause 12.7 deals with arrangements for the preparation of final accounts from which any net payments to or from the Joint Venture are to be based. is acquired by a third party whom the Continuing Party reasonably judges to have an adverse impact on the Joint Venture. There is an option for the Continuing Party to exclude the other Party from the JV on certain contracts only, but such a provision would need careful consideration and ideally an agreement on how it will operate. It might be useful if, for example, the Client on one project falls out with one of the Parties and wants that Party removed. The consequences of exclusion are that the Continuing Party is entitled to use the Defaulting Party’s assets in the possession of the Joint Venture, operate the Joint Venture’s bank accounts without reference to the Defaulting Party and retain all payments to the Joint Venture until final accounts have been prepared. The Continuing Party is entitled to recover any direct losses attributable to the default of the Defaulting Party before accounting to the Defaulting Party when final accounts are drawn up. Note at clause 13.8 that either Party may on notice to the other Party ask to withdraw from the Joint Venture if it considers that the Parties are in fundamental disagreement or that its business has changed so as to make its continued participation impractical. Withdrawal may only be agreed if the Parties agree as to the terms of withdrawal. If agreement on such terms is not possible the Agreement and Joint Venture remain in effect until either Party decides to terminate the Agreement under the provisions of clause 3.2. Both Parties are obliged to second employees as requested by the Management Board. Those seconded employees may not be withdrawn before the expiry of the term of secondment without the consent of the Management Board. Plant that is not provided by a Party pursuant to clause 7.3 and as recorded in a Schedule may be purchased by the Management Board on behalf of the Joint Venture. Surplus plant is to be sold at public auction. The Management Board may request a party to provide specialist services not set out in a Schedule and the Joint Venture shall reimburse the cost of providing those services. 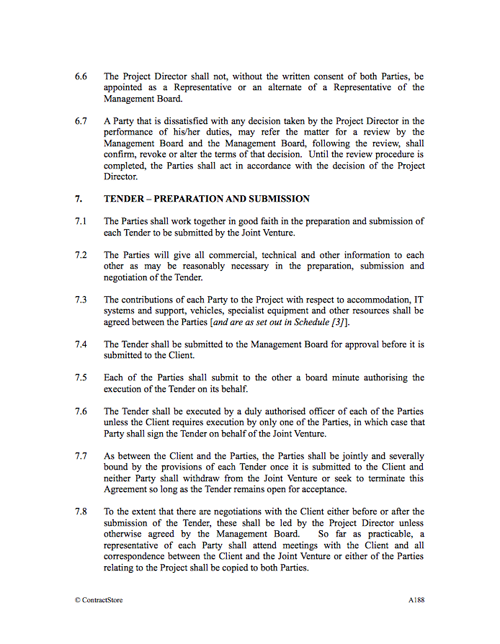 Note at clause 15.2 that the Parties are obliged to pass on to the Joint Venture any favourable terms or discounts relating to goods and services required by the Project Director from their suppliers with the Party acting as agent for the Joint Venture in its dealings with those suppliers. Insurance cover required for Contracts (and any other cover required for the Joint Venture) will be decided by the Management Board and taken out in the name of the Joint Venture. Clause 17.1 provides that Parties are to provide bonds or bank guarantees as required by a prospective Client. [A requirement for bonds or guarantees is not unusual in certain industry sectors such as construction and, broadly speaking, provide a Client with a measure of protection in the event that a Client suffers loss arising from the insolvency of a Party or its failure to complete a Project to a reasonable standard.] The expenses incurred in obtaining such bonds/guarantees are rechargeable to the Joint Venture. Clause 17.2 requires a Party to use best endeavours to obtain (at its own cost) a parent company guarantee if required by a Client. Such guarantees may be requested where a Party either lacks a substantial trading history and/or appears to lack the resources to meet a claim arising from a Contract. As a party may obtain confidential information relating to Clients/Projects during the course of this Agreement each party is obliged to agree not to use any such information for its own purposes during the Agreement and for some years after termination. Clause 18.2 sets out several standard exemptions to the obligation of confidentiality. At clause 18.3 the Parties agree not to issue any information relating to the Agreement, Clients, Tenders or Projects without obtaining the prior consent of the Management Board. Press releases relating to a Project require the prior approval of the Management Board. Prospective Parties should consider carefully whether they wish to share with the Joint Venture all Intellectual Property Rights created or acquired on behalf of the Joint Venture and which relate to a Project (“Joint IP Rights”) (and if so to what extent and upon what terms). If a Party (having taken specialist legal advice) decides not to share such rights clauses 19.1 and 19.2 should be deleted. Note at clause 19.2 that a Defaulting Party (as defined in clause 13) is deemed to surrender its Joint IP Rights to the Joint Venture for the duration of the Joint Venture if excluded from the Joint Venture. This measure needs particularly careful consideration. Clause 19.3 contains an important protection for the Parties and the Joint Venture: each Party warrants that it has ownership of all intellectual property rights required by the Joint Venture and further agrees to indemnify the other party and the Joint Venture from any claims made for infringement brought by a third party. Clause 19.4 deals with the use by a Party of intellectual property rights belonging to the other Party and which were not acquired during the term of this Agreement and do not relate to a Project. Such rights remain vested in the Party to whom they belong subject to a royalty-free Licence granted to the other Party valid for the duration of the Agreement allowing it to use those rights only for the purposes of the Agreement and any Contracts. The Licence expires upon termination of the Agreement. In the event that a Party is prevented from carrying out its obligations to the other Party owing to external circumstances wholly outside its control (“Force Majeure”) that Party will not be held liable for breach of the Agreement provided that first notice is given to the other Party as soon as practicable and secondly that it takes all reasonable steps to avoid or mitigate any effects arising from an event of Force Majeure. Clause 20.2 allows the other Party to terminate the Agreement if the event of Force Majeure continues for more than 180 days. Each Party is to be responsible for payment of its respective tax liabilities arising out of the Joint Venture’s activities whilst the Management Board is to be responsible for registration of the Joint Venture for VAT purposes. A standard clause setting out in detail the means by which each Party is to give formal notice to the other Party or the Joint Venture. The Agreement is governed by English law and the English courts have ultimate jurisdiction to decide upon disputes arising from the Agreement. The intention behind this clause is to regard litigation as a last resort once alternative dispute resolution procedures (“ADR”) have been exhausted. ADR has several advantages over traditional litigation: cost; speed; flexibility; privacy and a less confrontational mode (thus helping to preserve long term commercial relationships). It is worth noting that in recent years the courts have taken an increasingly proactive stance towards ADR and will seek to persuade parties to litigation to explore the possibilities of ADR before proceeding with litigation. either the courts or arbitration: because arbitration is private, parties to a joint venture dispute may prefer this to litigation in the courts, which carries more risk of publicity. This clause sets out a number of standard “boiler-plate” sub-clauses common to most commercial contracts (e.g. previous agreements/warranties outside the Agreement are to be superseded/excluded, arrangements for variation, the exclusion of any rights that a third party may have to enforce the Agreement). Note in particular clause 23.8 (Competition Act). In certain circumstances (notably where the parties are substantial and by co-operating with each other in effect exercise a measure of monopolistic control of a relevant market) a Joint Venture may constitute an anti-competitive practice. Where there is any risk of this the Parties would be well advised to consider referring the Agreement to the Director General of Fair Trading for guidance. Often the Director General will permit an agreement to stand on condition that the terms of the agreement are made public. The Director General will however often agree to protect commercially sensitive terms of an agreement (or an entire agreement) upon the application of a party. This clause obliges both Parties to use their reasonable endeavours to apply to the Director General to protect commercially sensitive aspects of the Agreement (e.g. Working Capital). A decision as to a possible reference should not be taken without the benefit of specialist legal advice. 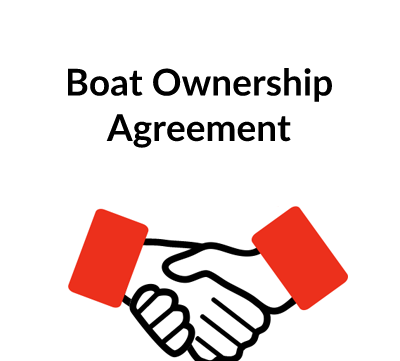 The Agreement includes scope for including a number of Schedules which form part of the legally binding obligations of the Parties: Authority of the Project Director; Contributions In Kind To The Joint Venture Made By The Parties and Initial Working Capital Requirements. Others – e.g. Authority of the Management Board might also be added. Although there is no legal obligation to set out such matters in a schedule it is often prudent to do so as it is more convenient to have all contractual issues wrapped up in one document and both Parties can be certain as to the matters set out.